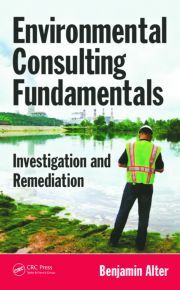 Fundamentals of Environmental Site Assessment and Remediation examines all aspects of environmental site assessment and remediation and outlines the interdisciplinary skills needed to work in the field. It provides a comprehensive overview for students, environmental professionals, and real estate developers, and includes the latest environmental regulations, environmental site assessment and remediation practices, and industry standards. It examines pollution sources and the related impacts on drinking water supplies, the associated health risks, and how to protect water resources. The monitoring of surface water, groundwater, and soil is explained, as well as vapor intrusion. 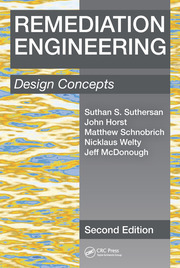 It will include several practical case studies throughout. 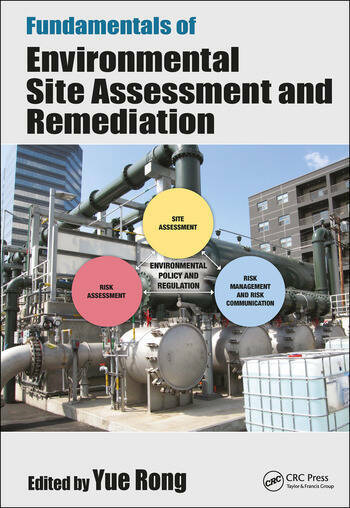 Includes the latest and best practices for environmental site assessment and remediation procedures. Presents a multidisciplinary approach, including environmental forensics, nanotechnology, microbiology (DNA technology) and isotopes, etc. Examines various pollutants and their related impacts on drinking water supplies, the associated health risks, and how to protect water resources. Presents the best practices for the monitoring of surface water, groundwater, and soil. Covers the latest environmental regulations and industry standards. Site remediation related laws and regulations. Pollution sources and drinking water protection. Human health risk assessment in site remediation. Groundwater hydrology, soil and groundwater assessment and monitoring. Environmental Forensics technology in site assessment and remediation. Vapor intrusion. Conventional site remediation. In-situ treatment. Nano-technology in site remediation. Environmental micro-biology and bio-remediation. Environmental Statistics methods. Laboratory analytical methods. Index. Dr. Yue Rong (“YR”) is currently the Environmental Program Manager at the California Environmental Protection Agency, Los Angeles Regional Water Quality Control Board. He was the recipient of the California Regional Water Quality Control Board Outstanding Achievement Award and Supervisory Performance Award. He also received the AEHS Foundation Achievement Award. He is an Associate Editor for the peer-reviewed Journal of Soil and Sediment Contamination and an Associate Editor for the journal of Environmental Forensics. 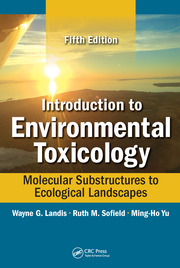 Dr. Rong is the author or co-authors for about 30 peer-reviewed publications, and editor of the book Practical Environmental Statistics and Data Analysis. Dr. Rong was elected in 2006 and again in 2008 as the president of the Southern California Chinese American Environmental Protection Association (SCCAEPA), serving the local minority community. He is also the Editor-in-Chief for the peer-reviewed SCCAEPA Online Journal. He earned his Ph.D. in Environmental Health Sciences from the University of California at Los Angeles (UCLA), and M.S. in Environmental Sciences from the University of Wisconsin, and received his B.S. in Earth Science from the Beijing Normal University. Currently, he is a visiting professor at the Environmental College of Renmin University, and China University of Political Science and Law.